Increased home sales and a rise in home values indicate that the housing market is heading in the right direction, according to a Harvard University report. Total recovery, however, remains stunted by low housing inventory and economic hurdles facing potential homebuyers. Despite the challenges, analysts predict a strong future for the market, and see millennial and minority homebuyers as key to take charge of the long-term recovery. The State of the Nation’s Housing 2014 report, released by the Joint Center for Housing Studies of Harvard University, shows that both new and existing home sales saw significant increases in 2013, though inventory remains at low levels. Home prices saw a significant nationwide increase throughout 2013, but saw much more modest growth in the beginning of 2014 and actually decreased within minority neighborhoods. Meanwhile, homebuilding figures strengthened in 2013, increasing 18 percent over 2012 figures, which will ultimately add to the housing inventory. Rising interest rates, which leaped from 3.6 to 4.4 percent in 2013, also made it harder for many potential buyers to afford to enter the housing market. Among those hard hit: younger buyers saddled with large student loans. The rising interest rates continue to affect Notary Signing Agents as the refinance market remains slow. But increasing originations and other loan products, like reverse mortgages, could grow signing assignments over time. The report noted that overall home ownership rates fell for the ninth straight year in 2013, but analysts are positive about the future of the housing market. Millions of millennials will reach their 30s in the next decade and should help boost the demand for housing. “Ultimately, the large millennial generation will make their presence felt in the owner-occupied market,” says Daniel McCue, research manager of the Joint Center. The next generation of homebuyers also should be the most diverse, according to the report. By 2025, minority households will make up 46 percent of first-time homebuyers. 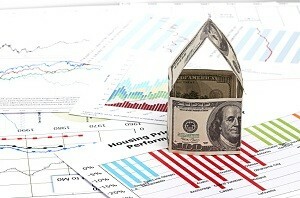 Overall, while the housing recovery is proceeding slowly, there is cautious optimism.